Goodwill Industries of Michiana and Ancon Construction are excited to announce that construction is underway at The Excel Center – South Bend. 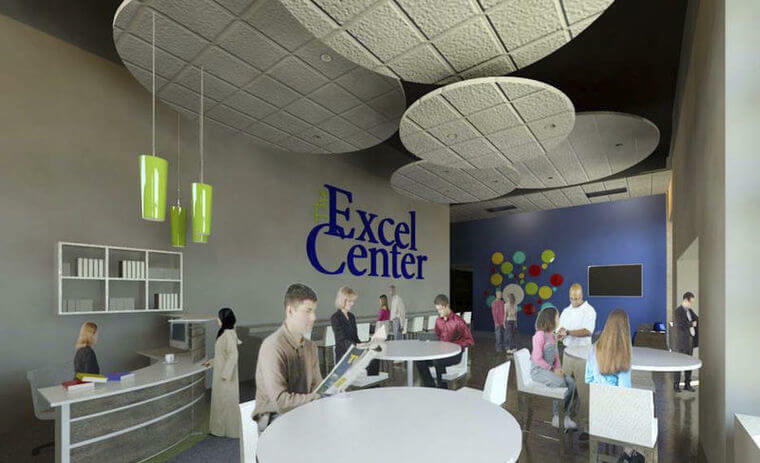 The Excel Center – South Bend, which is operated by Goodwill LEADS, INC, will provide adults the opportunity and support to earn a high school diploma and pursue post-secondary education while developing career paths that offer greater employment and career growth opportunities. The project, designed by MPA Architects and built by Ancon Construction, will be overseen by Project Manager Doug VonGunten and Field Superintendent Mike Crawford. The renovation project consists of approximately 22,000 sqft and features numerous classrooms, large break room, lounges, offices, and drop-in center. The project is estimated to be complete at the end of September. According to the website www.excelatgoodwill.org, 260 students have already applied. For more information, please visit www.excelatgoodwill.org.